Saturday morning we reluctantly left our pad in beautiful Buda-Pest around 11:00am to make our way over to the Budapest Fertihegy airport, we had a long wait for our flight to Franfurt which was at 7:00pm, then less than 2 hours later we were there. Frankfurt airport is so big, probably 15 times the size is Sydney, it was a long walk over to where we had our connecting flight. We waited at Frankfurt 2 hours then the night flight of 12 hours to Singapore. 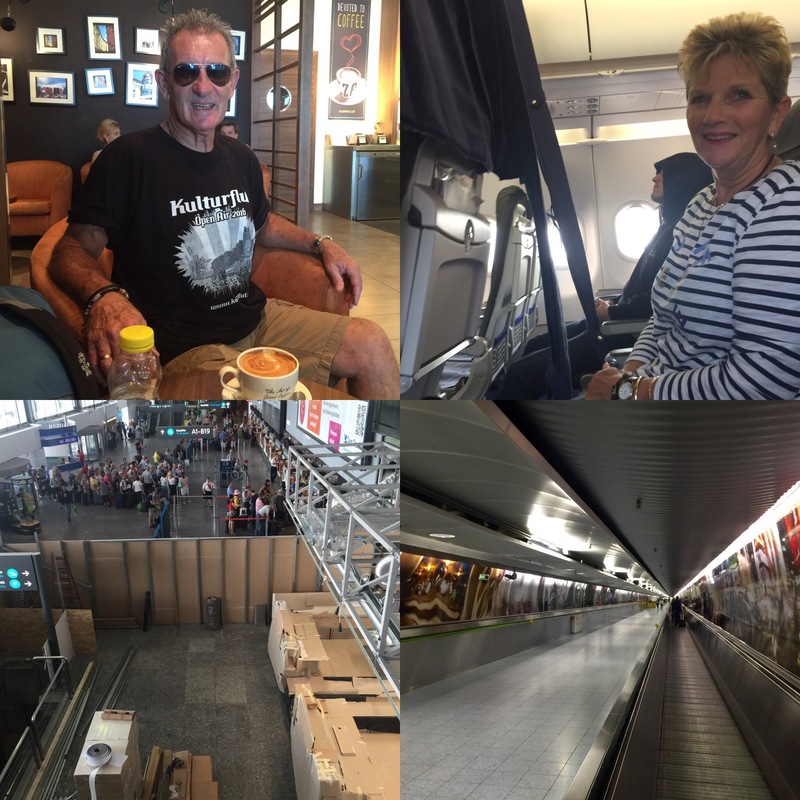 We arrived at the massive Changi Airport late afternoon then waited another two hours for our once again evening flight to Sydney, finally arriving in Sydney at 6:00am, a bit chilly but great to be back in Australia …….. 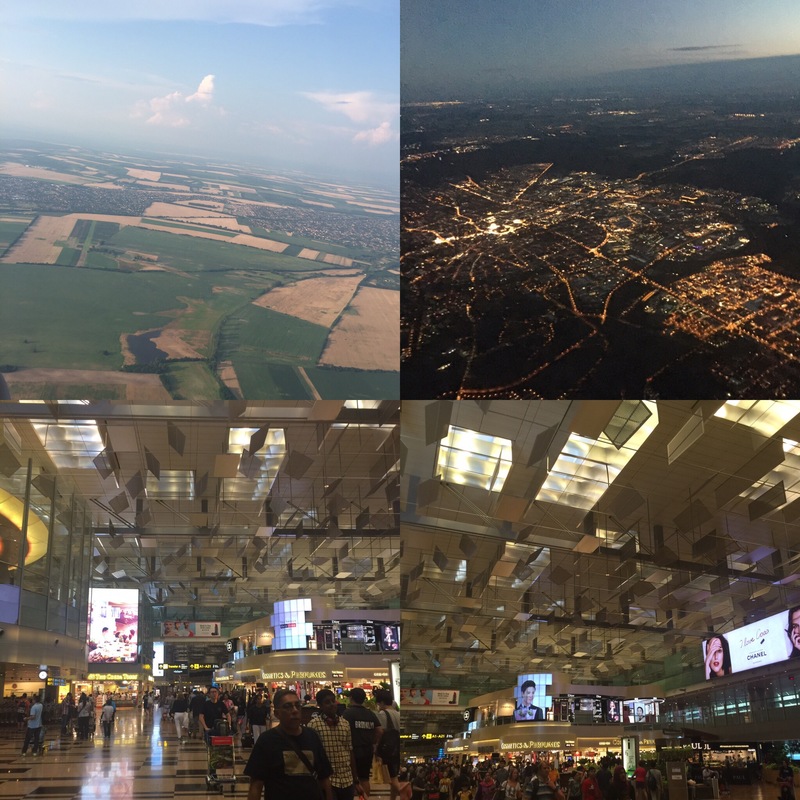 Waiting, flying, arriving……… Budapest airport, Frankfurt airport …. Then finally touchdown in Sydney ……… This is a double decker Airbus, we were on the top level, a great smooth landing by the pilots ……..
And to end this 2016 Europe trip blog ………. What we saw, what we think about the trip this year …….. Some cities for only a few hours or a day, some for a week or longer, we found that about 4 days in a city is enough to get a feel for the place and visit the main attractions, walk or cycle around enough to say you have experienced the way of life. Their was not one country, city or region that was better than the last, some place are not quite what you expect, some are more than you expect. As we did last year, we explored much on foot, this year we used push bikes much more and found we were able to see many things in a short space of time, the bikes are definitely the best transport for seeing a new city. We met many people of all nationalities, cultures and religions, they were all very friendly and happy to talk freely about themselves and the travels. People in Europe are fascinated with Australia and the fact that we are travelling so far to visit their country, but most think that Australia is just to far to travel to for a holiday, although most would love to. Previous PostLast days in Budapest then the long flight back to Australia…days 84 and 85.